The Briar Hill house project features unique modern architecture and large open concept floor plans. There is a modern contemporary style that can be found all throughout this house designed home by Sturgess Architecture. 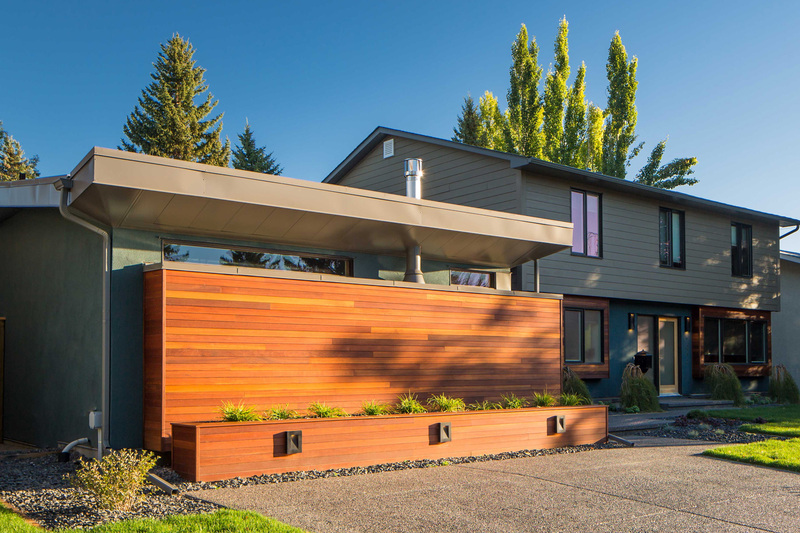 The home proudly showcases blends of Commercial steal, glass and concrete with warm wood features. An impressive custom steel staircase with “floating” treads, is the centrepiece of this home. The custom staircase is the first stunning element of the building you see when you step through the door. Its contemporary look combines steel stringers and handrails with beautiful vertical grain timber treads, resulting in three stories of warmth and strength. There is a fabulously large open sitting/ entertaining area accompanied by a dining area and spacious kitchen with a large breakfast bar. The kitchen space is equip with a double oven and matching double stove tops inlayed seamlessly into the counter top. To provide all the natural light desired there is an entire wall made out of windows to incorporate the natural beauty of the outdoors with the modern contemporary feeling of the interior. The windows provide endless views of the area and the large deck area for entertaining. 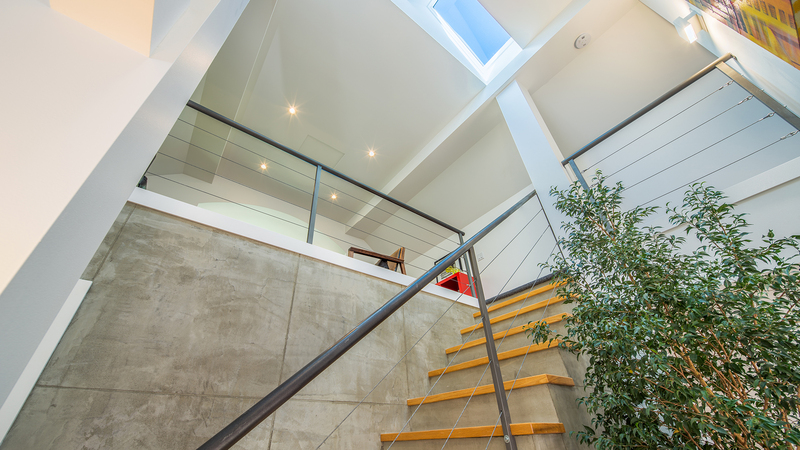 The style of this home is featured within every aspect, there are ceilings that showcase 2 ft. by 8 ft. panels that are spaced evenly without trim, polished concrete floors and detailed exterior concrete work, along with retaining walls with planters along the front driveway and stairs.